Up until recently, there have been very few waterbird counts undertaken in Kuwait and, as a consequence, information on Kuwait’s waterbirds is limited and does not currently feature in important international assessments or national conservation processes. Since February 2014, WWT Consulting and WWT’s Monitoring team have been working with the Kuwaiti Public Authority for Agriculture and Fish Resources (PAAF) to assess the importance of East Jahra Reserve and Sulaibikhat Bay for waterbirds. This has provided an excellent opportunity to develop the foundations for a wider waterbird monitoring programme and to increase public engagement. This project is part of the Kuwait Environmental Remediation Programme (KERP) being administered by the Kuwait National Focal Point (KNFP) for the United Nations Compensation Commission. The two focus sites for the monitoring programme are Jahra Bay (incorporating Jahra Pools and the larger East Jahra Reserve) and Sulaibikhat Bay Marine Protected Area on Kuwait Bay, which are both recognised as Important Bird and Biodiversity Areas by BirdLife International, and both also qualify as Wetlands of International Importance under the Convention on Wetlands because they support internationally important numbers of at least one waterbird population. 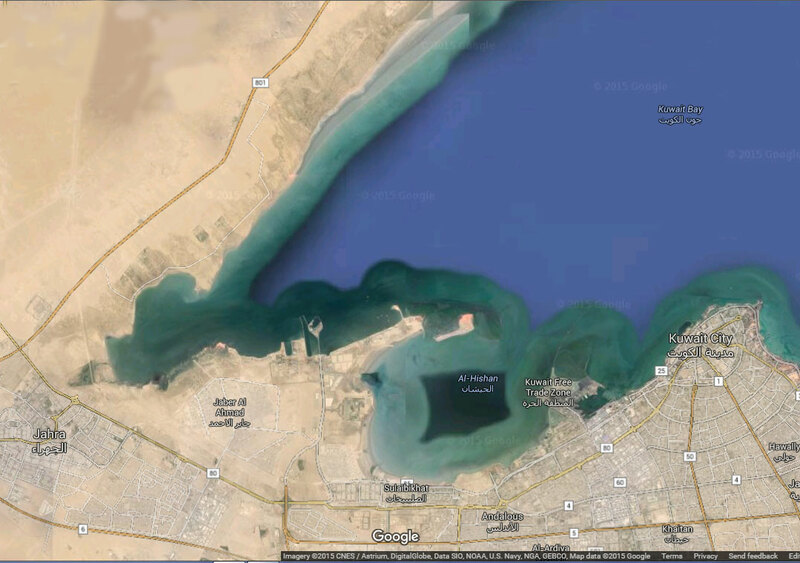 The monitoring sites: Kadma Bay and Sulaibikhat Bay within Kuwait Bay (the southwest and southern inlets, respectively, to the west of Kuwait City) and the East Jahra Reserve, which is the small body of water between Jahra and Kadma Bay. 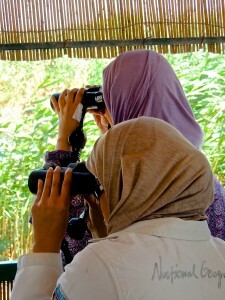 On a regional scale the monitoring of waterbirds in the Middle East is poorly developed. Here Kuwait has a unique opportunity to lead the way in the monitoring, conservation and management of waterbird species in the Middle East. The work WWT has been carrying out in Kuwait focuses on establishing the long-term waterbird monitoring programme for the Jahra Reserve and Sulaibikhat Bay areas. Working closely with Kuwaiti nationals, Khaled Al-Ghanem (site manager of Jahra Pools for the Environment Public Authority (EPA)), AbdulRahmen Al-Sirhan (birdwatcher and coordinator for the local project team), Maha AbdulRahmen (Kuwait Zoo, PAAF employee) and others, along with birdwatchers of other nationalities based in the country, WWT has been providing training on bird identification and counting techniques, along with establishing a scientifically robust methodology for conducting waterbird counts. 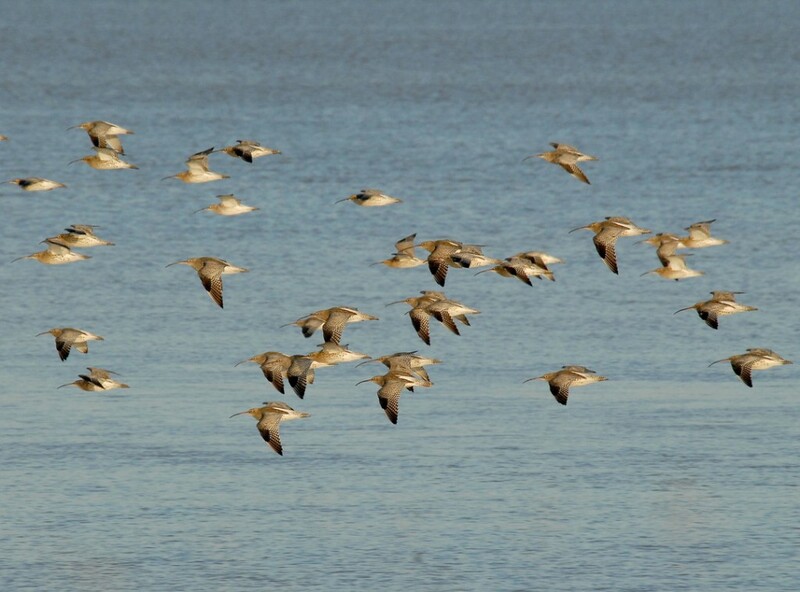 As part of this programme, the first coordinated counts were undertaken for the International Waterbird Census in January 2015. This resulted in 66,070 individual birds of 67 species being recorded. Of particular note were nine species being counted in numbers exceeding the 1% threshold for the flyway population – one of the criteria used to identify internationally important sites for waterbirds under the Convention on Wetlands. The following species were counted in numbers surpassing the 1% threshold (Wetlands International 2015): Great Cormorant, Western Reef-heron, Greater Flamingo, Kentish Plover, Eurasian Curlew, Dunlin, Little Stint, Slender-billed Gull and Black-headed Gull. This training programme will continue during future visits, in order to build a sustainable foundation for long-term waterbird monitoring in Kuwait, ensuring that counts undertaken are of good quality, the recording is precise and methodologies are followed to allow comparisons at a later date. Data collected during these visits will also contribute to global status assessments, such as those carried out through the International Waterbird Census, coordinated by Wetlands International. Other updates from this project can be found on our latest news pages and at WWT Consulting.